Henry Chetcuti will supply all photos and frames. To purchase a print of a photo, or printed and framed photo, please contact Henry by email . Price for a printed photo (25cm x 18cm) is $10. Price for a printed photo (25cm x 18cm) matted and ready for framing is $15. Price for a printed photo (25cm x 18cm) matted and framed in a standard 13" x 10" frame is $30. Please contact Henry for pricing for specialised frame. When you are ordering please quote the "Photo ID"
Please Note: These pages are being constructed and it will take some time to upload all the photos. The VBSA started taking team photographs in 2004. We will continue to take them at all grand finals. The Winning team of each grade will receive a framed copy of their photo to be added to their Clubroom. 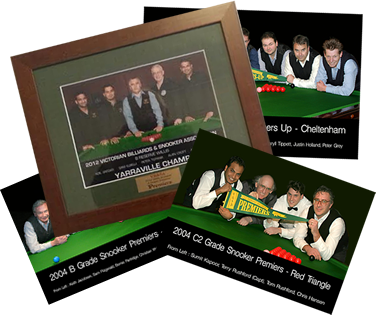 Team members may purchase a photo if they wish.